I went on two listing appointments this week and both individuals wanted to know when the best time to sell their home was. Should they list it right away or wait until January? The upside of waiting, they thought, would be seasonal visitors are here, the holidays are over, and it is a new tax year. My response to this is always to ask a few more questions. One of the most common reasons for selling a home is that people want to move closer to family. In the last year, I have had at least five people list their home because they had their first grandchild and wanted to live closer to them. Job changes and opportunities are another popular reason people move. If you are ready to move and have equity in your home then you need to know what the real estate market is doing. There are factors that will help predict how fast your house will sell and the price you can get for it. One of these factors is the amount of inventory or homes available to buy. Of course, if there is a high inventory and buyers have a lot to choose from then your house has to be priced right and really pop to stand out and sell quickly. Every seller and every agent wants your house to get under contract quickly because of all the psychological factors involved in a home that has been on the market a long time. The average days a home in on the market in Maricopa currently is about 92 days. So back to the question my clients asked this week: Should I list my home now or wait? Looking at only the market and not the reason you might want to sell, here are some facts. We are starting out the month of October with around 300 single family dwellings available for sale in a subdivision. The real estate market inventory started out in 2015 with over 500 homes available for sale, so you can see our inventory is down. This of course, is a good thing for the home seller. Approximately 100 homes went under contract in September and sold at an average of just under $82 per square foot. It is anticipated rates will stay at record lows at least until the end of the year with a potential increase after that. Mortgage applications jumped nearly 14 percent the week of Sept. 21 compared with the previous week, according to the Mortgage Bankers Association’s weekly survey. Purchases were up 9 percent and refinances soared by 18 percent. In some subdivisions the competition for the resale homeowner has been new builds. This is shifting a bit and I will write more about new build homes next month. 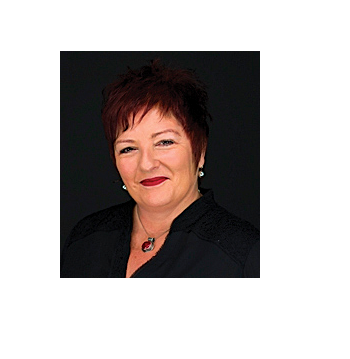 Pat Lairson is a Realtor with Coldwell Banker Residential Brokerage.